Then, you’ll need to visit your domain registrar, in this case GoDaddy, and perform the following steps. 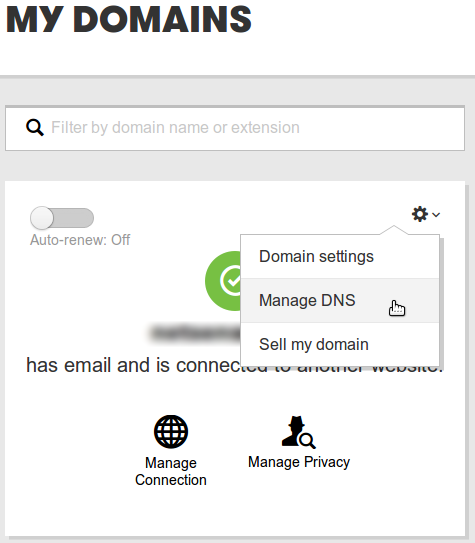 Select the domain name you want to use, click Settings and select Manage DNS. 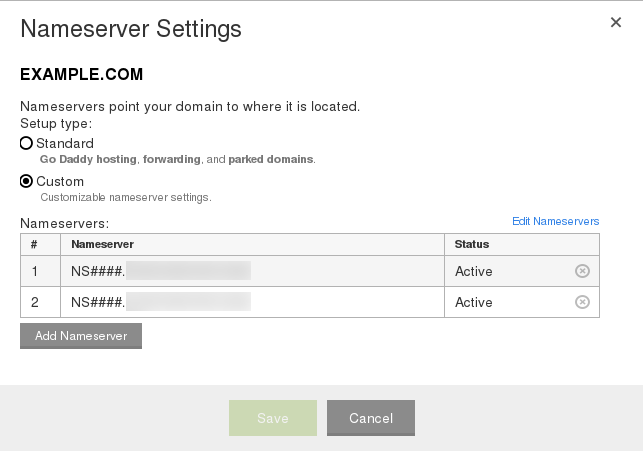 Fill out the name server fields with the name servers provided in the MagicPress panel shown above (click Add Nameserver if necessary). Click Save to save changes. Click the Edit option to get to the Zone File Editor. Host Name — Enter the host name the A record links to. 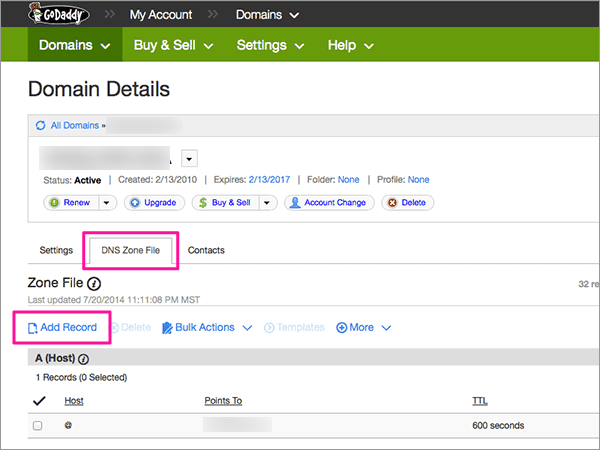 Type @ to point the record directly to your domain name. 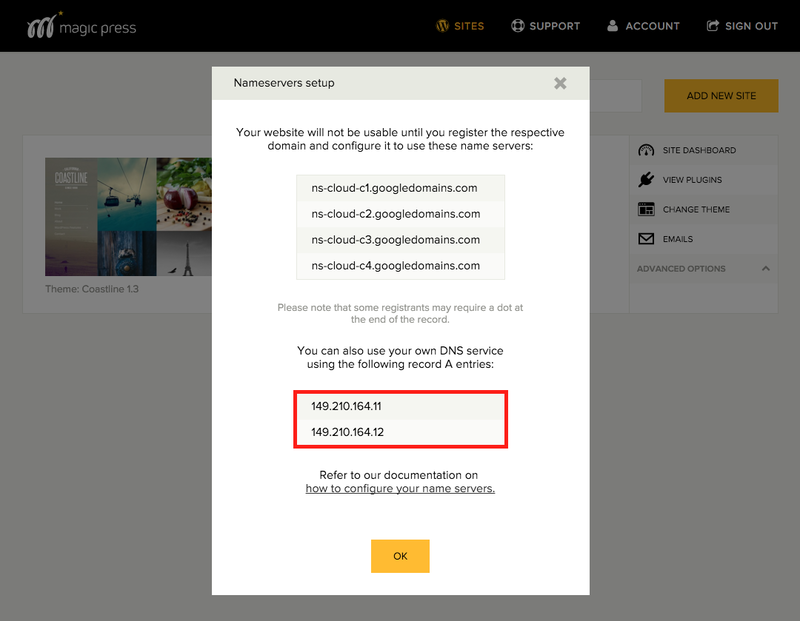 Points to IP Address — Enter the IP address provided in the MagicPress panel. TTL —insert the data from the MagicPress panel. Click OK, then click Save Zone File. The new A record displays in the A (Host) section.